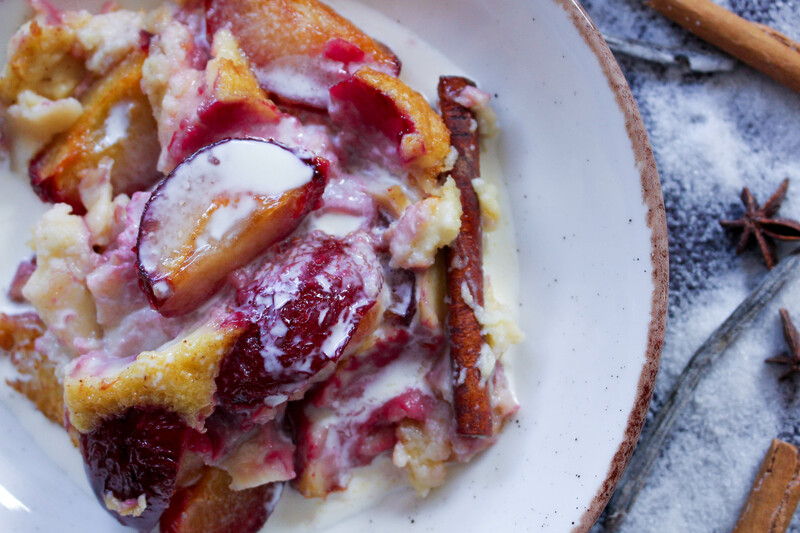 This dish was inspired by Raymond Blanc’s Cherry Clafoutis recipe. 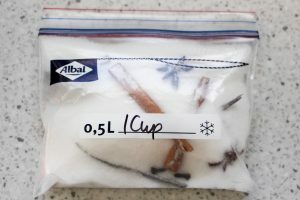 Allow the spiced sugar to infuse for at least a day, if not longer. 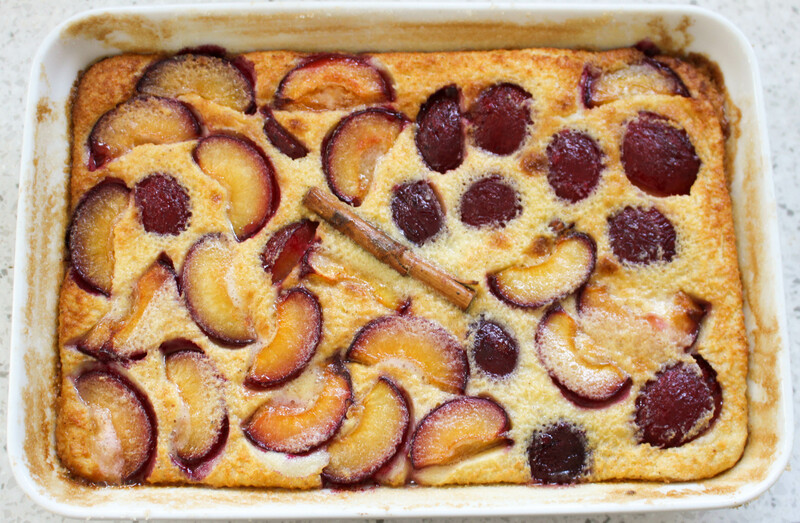 The clafoutis is best served warm, not piping hot so allow time for it to cool before serving. To make the spiced sugar dry roast the cinnamon, star anise and cloves in a dry frying pan to help release their aromas. 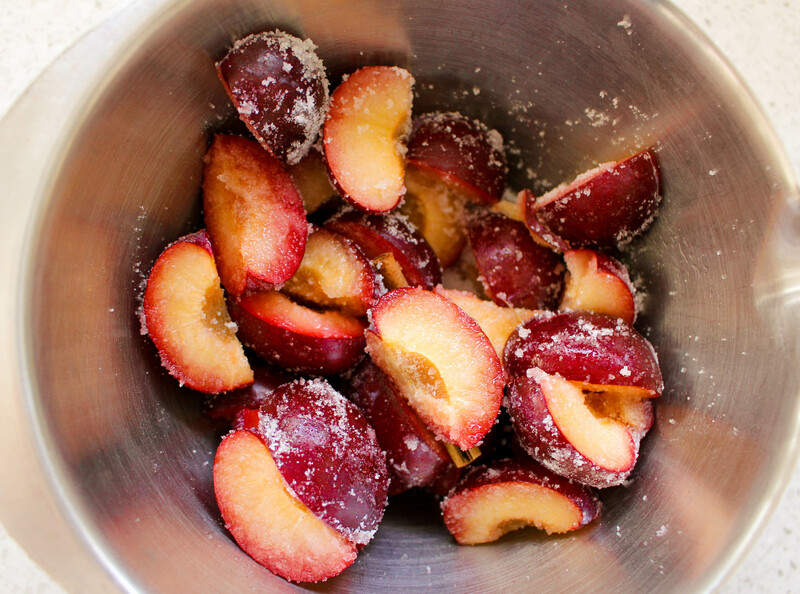 Allow to cool slightly, then transfer to a ziplock bag with one cup of caster sugar and the vanilla pod. Seal the ziplock but leave some air in the bag to allow the sugar to infuse. Leave to infuse for at least one day. Place the plums in a large bowl with ¼ cup of spiced sugar, mix well then leave to one side to macerate for at least two hours (this helps to intensify the flavour of the plums). Preheat the oven to 180C. 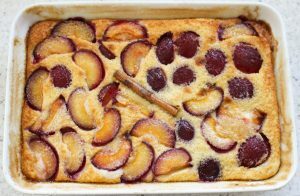 Grease a baking dish with butter and sprinkle spiced sugar around the dish so that it is evenly coated. 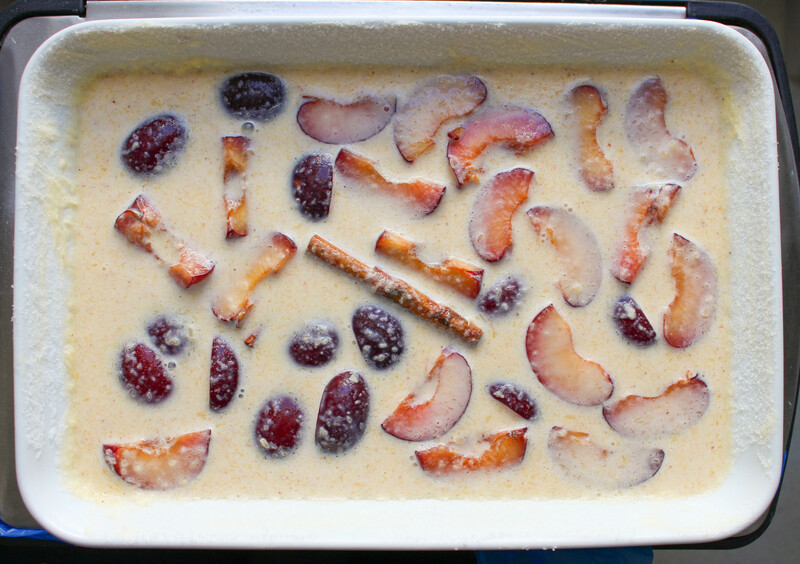 This will stop the clafoutis sticking to the dish once cooked. Tip out any excess sugar. For the batter heat 20g butter in a small pan until it turns pale brown, being careful not to burn the butter too much or it will become bitter. Remove from the heat and set aside. In a large bowl, whisk together the eggs, spiced sugar, ginger, vanilla, ground cinnamon and whisk until creamy. Add the flour, continuously whisking until smooth then slowly add the milk, cream and the browned butter. 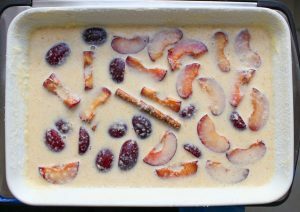 Mix the plums and their juice into the batter then transfer to the baking dish adding two cinnamon sticks for asthetic purposes (optional). Bake for around 30-35 minutes, or until the top is slightly domed. Sprinkle with some spiced sugar and serve once cooled slightly with some double cream.